Parcelninja is an outsourced e-commerce warehousing and order fulfillment service. Parcelninja stores, packs and delivers your goods to the buyer while the web interface lets you keep track of all your products. You can manage stock and supply chain operations remotely, leaving you free to focus on growing your business. 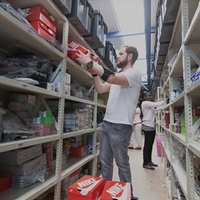 The company has developed its own warehouse management system which optimises warehouse space, eliminates picking mistakes and reduces courier costs. In order to use Parcelninja, sellers need to request to be added to the Parcelninja group of sellers on bidorbuy and register with Parcelninja. Step 1: Register with Parcelninja by e-mailing support@parcelninja.com. Step 2: Request to be in the Parcelninja group of bidorbuy sellers by e-mailing hello@bidorbuy.co.za. 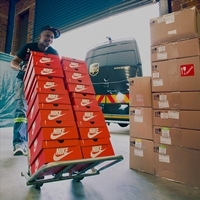 Step 3: Send your products to one of the Parcelninja warehouses. Step 4: Book your stock in. Stock will be verified against the information submitted in your shipment. Quantity, quality and weights of stock received are checked and verified, making sure your supplier has sent us the correct stock. Step 5: Your stock will be allocated to shelves in the warehouse. 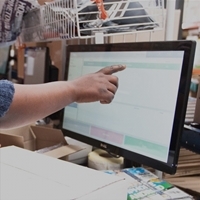 Processes are executed electronically, allowing traceability and no room for error. 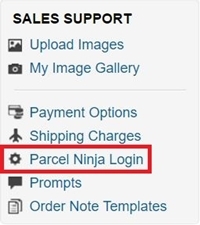 Step 6: Login to bidorbuy and navigate to the “My bidorbuy” Selling tab Navigate to “Sales Support” on the left hand side of your screen and click “Parcelninja Login”. Step 7: Enter the username and password provided to you by Parcelninja when you registered. Step 1: List your items on bidorbuy as you usually would and enter the exact code to match your Parcelninja SKU in the Sellers Product Code. Step 2: Parcelninja will automatically be updated when an order is placed. Step 3: Your customer’s order will be picked. Pickers have a mobile device and handheld scanner which guide them through the pick. 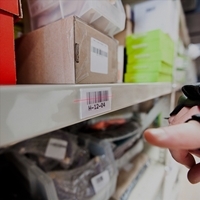 Shelves and products are barcoded to ensure each scan is a verification step in the process. Step 4: Your customer’s order will be packed. The packing stations are equipped with a touchscreen, product is weighed, inserted into a branded box and the waybill is printed. Step 5: Your customer’s order is delivered. You will be automatically notified once your customer’s order has been dispatched. Tracking notifications are sent throughout the process, so your customer and you are kept in the loop. 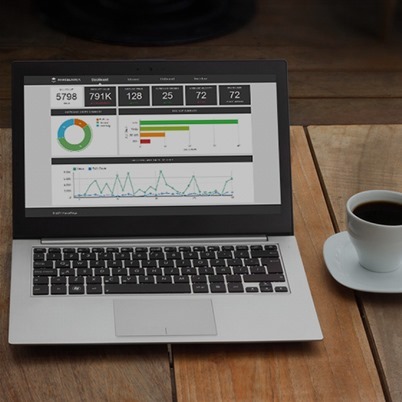 Step 6: You can analyse real-time reporting of your inventory and you will have access to useful insights into stock control, item age analysis, order velocity, total item value and more. Is Parcelninja Right for My Products? The warehouses have different storage options for the products, including temperature controlled areas, heavy duty racking, a high value goods area, free flow areas and more. Parcelninja makes sure your products are protected within the warehouse. This includes products which are damaged or lost due to fire, water, shrinkage or accidental damage. Because of their state of the art set-up, shrinkage and damage is rarely an issue. You can manage reverse logistics from the customer back to the warehouse and from the warehouse back to the supplier. However, Parcelninja’s return rate is the lowest in the industry due to their high efficiency during the picking and packing process. 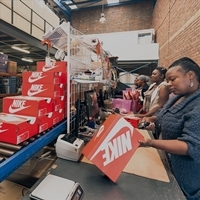 Double verification is done at the packing station to ensure that the correct products are picked and that the weight and quantity are correct. A chaotic storage methodology is adopted, which means that products with similar attributes are not shelved together, helping eliminate errors when picking products. You can provide Parcelninja with your own branded packaging and include special inserts. All items are custom packed. Packing stations are equipped with a comprehensive array of boxes and packaging supplies to ensure that the product is well protected during the delivery process. Whom to contact for help when using Parcelninja? Sellers, please contact support@parcelninja.com if you need help using Parcelninja.